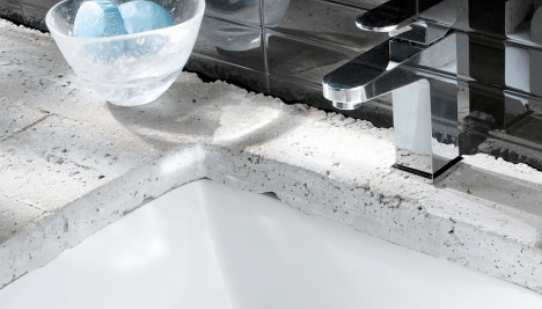 The most popular basin style, some wall hung basins can be used as a countertop - though be aware all wall hung basins will have visible pre-drilled hole on the back edge. Mounting to a solid/external wall should present little or no problem, however depending on the size and weight of the washbasin, it may be advisable to install a mounting board behind a frame stud wall and fix the basin to this board. The plumbing parts for a wall hung basin will be clearly visible; using one of our beautiful chrome basin traps will provide an attractive and technically correct solution. A washbasin that is mounted onto a worktop console or piece of vanity furniture. This provides ample storage, as a variety of bathroom items can be stored below the washbasins. 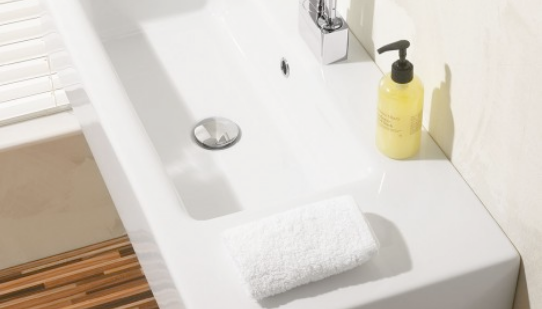 Aesthetically, counter top basins allow the plumbing to be hidden away within a vanity unit. Installation method can vary, but always entails cutting a hole in a vanity or worktop, the cut out must be waterproofed. A basin which is partly inset into a piece of bathroom furniture or a worktop; the front of the basin will protrude beyond the front edge of furniture or worktop. This style of basin is often more comfortable to use than a fully inset vanity basin and are becoming increasingly popular as a feature in main bathrooms. The basin is fixed to the underside of the worktop and must be securely fixed using a metal bracket and silicone. These are often a great way of incorporating a basin without having to have a large area of white porcelain on show. The worktop cut out MUST be templated from the actual basin being used and requires a waterproof finish on the cut hole. Check if the basins come with tap holes. For basins without tap holes, you’ll need a taller mixer with a longer spout because of the extra height or a wall mounted tap. Always select the basin before the tap fittings as some mixers are restricted to use only for certain basins. 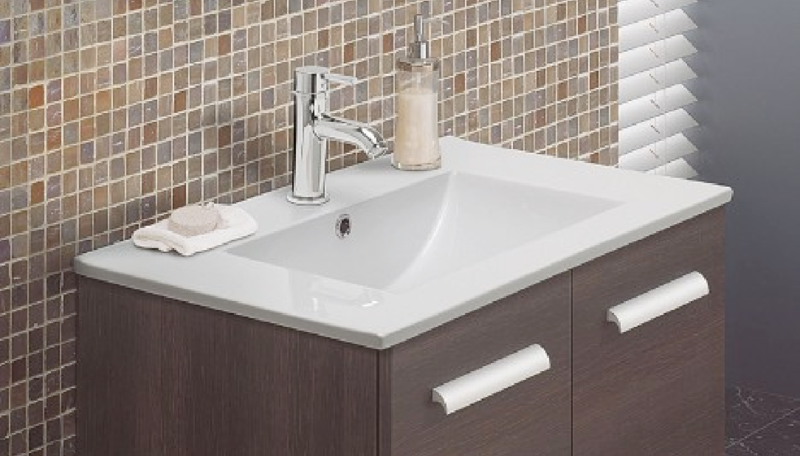 Ensure you choose a washbasin that can accommodate your choice of tap. 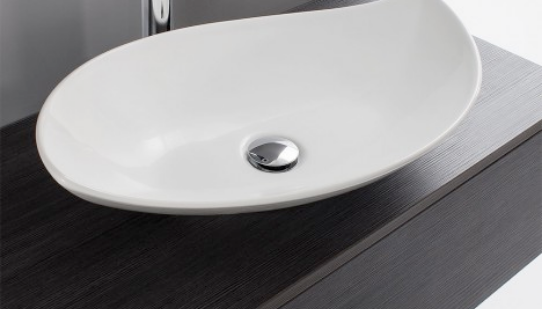 Washbasins are available in a variety of sizes and shapes and often the style and format of tap can play a large part in one’s choice of washbasin. Note: Higher water pressures or pumped supply systems may also influence the size of basin and performance of tap used. Regular cleaning with a mild detergent and clean sponge will keep your white basin in excellent condition. Periodic treatment with a lime scale remover may be required in hard water areas.